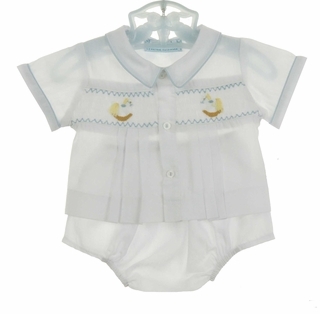 This darling white smocked diaper set was hand embroidered in the Philippines. 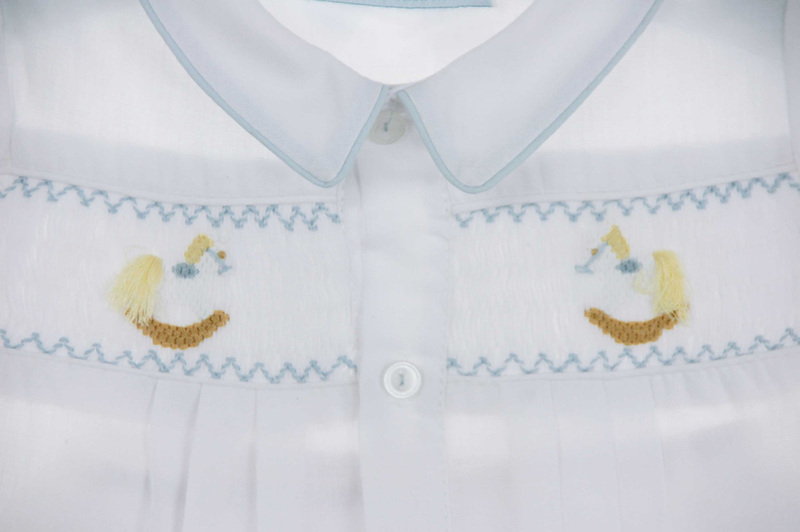 The shirt features a band of smocking embroidered with rocking horses. The front closure has three tiny buttons. 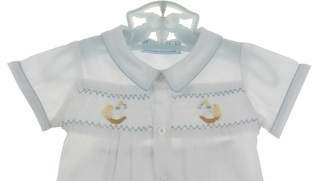 The Peter Pan collar and short sleeve cuffs are trimmed with blue piping. The matching diaper cover has an elasticized waist and leg openings for a good fit. Also available in pale yellow. See below. Note: Size preemie is perfectly sized for your newborn's coming home outfit and will easily accommodate an infant to about 8½" lb.